If you’re leaning toward a tongue retaining device, AVEOtsd is another solid choice. It’s competitively priced, and shipping to Australia is free. 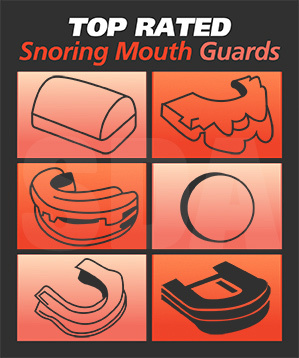 The AVEOtsd Stop Snoring Device is unique in the sense that it’s technically a ‘tongue stabilization device’. This means that it’s designed to hold the tongue forward instead of the jaw. While it isn’t the only device of its kind on the market, it does offer some unique features that make it an interesting choice. It’s also backed up by some pretty good videos, a functional and attractive website, and several clinical trials. But is the AVEOtsd the right device for you? Here’s what our research turned up. This device is technically a TSD, or ‘Tongue Stabilization Device’. This basically means that it was designed to hold the tongue forward during sleep. It accomplishes this through a sort of ‘suction’ mechanism that seems easy enough to employ and use. On this end, I would say that the device seems pretty effective – especially after viewing one of the helpful ‘demo’ videos provided on the website. There have actually been several clinical studies conducted on this device. In fact, the product website links to them – making them easy to find and review. You can view the clinical studies on their official website. I’ll say that I was pretty impressed by the clinical research presented by the company about their device. In my opinion, this is definitely a selling point. According to this page: http://www.getaveo.com/how-aveotsd-works/what-is-aveotsd.aspx ,the AveoTSD is FDA cleared in Australia, Canada, EEC, New Zealand, Japan, and the USA. In Australia, AVEOtsd can be ordered directly from the official website for $89. The product ships free from New Zealand and comes with a money back guarantee. The company responsible for the AVEOtsd is called Innovative Health Technologies Limited. The business address for this company is as follows. HGW Health Board House, 229 Moray Place, Dunedin. I spent quite a bit of time looking for scam complaints for this product—and am pleased to announce that I found basically nothing to report. As far as I can tell, customers really seem to like this device, and don’t seem to have many complaints about it. This product basically works by keeping the tongue pulled forward during sleep. This is accomplished via a ‘suction mechanism’, and is supposed to open up the airway to allow the sleeping individual ‘more room’ to breathe. This will cut down on your odds of snoring by reducing the incidences of tissue vibration that can occur when the airway is too closed off. It’s also interesting to note that the AVEOtsd has also been shown to be beneficial for sleep apnea in some circumstances as well – though whether it will help you with your specific case will vary, based on how severe it is and on what exactly is causing it. Actual customers are saying that this product seems legitimate and effective – and for good reason. The device seems to have been very thoroughly tested in clinical trials, and has a lot of data to prove that it does what it claims to do. Even skeptics seem to agree that the AVEOtsd is at least a very good idea that could work for some people. After the first night, you might experience a dry mouth. You may also have trouble keeping the device in all night, as it can definitely feel strange, at first, to have your tongue sticking out of your mouth while you try to sleep. After the second night, you should notice that using the AVEOtsd will feel much more normal. After a steady week or so of use, you should begin to notice an increased level of comfort with it. If the device ends up working for you, then you’ll probably begin to notice very positive benefits within the first week of use. Yes, this device definitely stacks up when compared to the competition. It offers a suction-type technology that only a few other products on the market utilize – and even in these cases, the devices are all just a little bit different. This makes the AVEOtsd a truly unique option with a lot to offer. Another thing that separates this device from other similar products on the market is the fact that it’s got so many clinical reviews supporting its effectiveness. This is actually pretty difficult to come by in the stop snoring device market – so I was definitely glad to see so much evidence presented for it. The biggest difference between this product and other ‘typical’ solutions on the market is probably the fact that it pulls the tongue forward during sleep instead of the lower jaw. While this isn’t unheard of, it is a lot different, as tongue stabilization devices are not nearly as common as mandibular mouthpieces. As far as I could tell, the only country where a prescription is needed to purchase this product is the US. It seems that buyers in any other country can simply order the device online. Here are the basic pros and cons that I discovered about the product over the course of my research. I was very impressed with the AVEOtsd. In my opinion, it’s a solid product with a good reputation that could definitely be effective for the treatment of snoring (and possibly mild OSA as well). If you’re in the market for a device with a proven track record and seem to favor tongue stabilization devices over mandibular mouthpieces, then the AVEOtsd is definitely a product to look at. Another similar and our currently still most recommended TSD device is Good Morning Snore Solution device, read more about it here. This product costs $89 to buy online. Shipping to Australia is free but may vary for other countries.